My seeking for spiritual truth over the past forty years has brought me to this point. My reading of ‘The Lost Book of Enki and other material translated by Zecharia Sitchin from ancient Sumerian tablets has precipitated a profound re-awakening within me and has completely changed my views on human history and pretty much everything I was ever taught about religions and our ‘human experience’. Please watch this video presented by Nick Mercer with an open mind and draw your own conclusions. No pressure! Truth, Love and Light to all. It is never my intention to plagiarise another writer’s valuable research, and so I give full literary credits to Paul White for this illuminating article. Regardless, what is written here is earth-shattering in the extreme and at the risk of offending those of you with firm religious belief systems, I offer this article in full for your consideration. I’ll say no more as it speaks of itself. Please let me know what you think. Truth, Love and Light to all. From Thoth and Osiris in Egypt, to Quetzacoatal and Viracocha in the Americas, traditions worldwide subscribe the origins of contemporary civilization to this sophisticated group. Despite the misleading popularity of Von Danikan journalism, evidence from around the world, indicates these people were the hi-tech survivors of the previous civilization. Like the nuclear survival bunkers and secret research facilities of our own civilization, there were those who arose from the underground “cities of the Gods“, after the dust settled. They were the “prediluvian patriarchs”, like Enoch and Methuselah, the “giants and heroes of old”, mentioned in Genesis. The enigmatic gods of ancient Summer, Egypt and India, all hail from the fabulous times before the Flood. It is the legacy of a civilization and a technology way beyond our own. A technology capable of creating a vast underground city, of which the sphinx and pyramids are merely the surface markers. The project scientist, Dr. Hurtak, likens it to the impact of contact with an advanced extraterrestrial culture. He described it as the discovery of the Fourth Root culture, the so-called Atlantean civilization, destroyed by the last earth tumble. It presents unequivocal evidence that all languages, cultures and religions trace back to a single common source, which Dr. Hurtak refers to as the “Parent Civilization“. Hurtak refers to a “language of light” and a great priest-scientist of the previous time cycle, named ENOCH, who is associated with the building of the Great Pyramid complex. Hurtak alludes to a grand spiritual science, a science which describes a genetic stairway to the stars. Known to the Egyptians as THOTH, the “Lord of Magic and Time” and to the Greeks as HERMES, “messenger of the gods“, he is even remembered in the Celtic tradition as the enigmatic wizard Merlin, who disappears up an apple tree to mythic Avalon, seeking the secret of immortality and vowing to return. The knowledge of Thoth/Enoch implies humans are meant to evolve beyond our present terrestrial form, as the Bible tells us, “we may become greater than angels”. The Egyptians record stories of the “Star Walkers“, occasional individuals who, like Enoch, travelled “beyond the Great Eye of Orion” and returned, to walk like gods amongst men. Despite the bleaching of semi-divine beings from modern consciousness, could it be possible, as the ancient texts insist, we are destined to “become as gods”?, are the Mayan “Lords of Light” and the Egyptian/Tibetan “Shining Ones” really a higher form of human? The Enochian knowledge suggests, these regular cataclysmic changes act as an evolutionary agent provocateur, to quicken the resident life forms to the next evolutionary phase, prior to exodus from the womb planet. Human evolution may proceed more rapidly than previously thought. The evidence now appearing, records civilizations before us, who mastered the physical continuum and progressed beyond this world. There were also those who failed. We, too, have equal opportunity to make it or break it. The discoveries emerging from Egypt, describe the existence of a world wide pyramid temple system in prehistory, mounted like antennae on the key energy meridians, which were employed by ancient priest-scientists as a musical system to stabilize the tectonic plates of the planet… cataclysmic geology at it’s finest. From the mother tongue word JEDAIAH, meaning “the way of the Word” or “the power of the Word”, the ancient JEDAI priests used the language of Light to tune the planet like a giant harmonic bell. Much is being rediscovered in the last days of this time cycle. I don’t want to frighten anyone, but we have within us the most powerful and illegal hallucinogenic drug in the world! That’s right! It’s called ‘DMT’, or for the pharmacists out there, ‘N,N-Dimethyltryptamine’. It is a psychedelic compound of the tryptamine family and is a structural analog of serotonin, (responsible for mood, appetite, sleep, dreams, memory and learning) and melatonin, (which regulates our cycles, reproduction, weight) and may even help combat some cancers. DMT, also known as ‘the spirit molecule’ is secreted by the tiny ‘pea-sized’ Pineal Gland known as the ‘Third Eye’. I’ve spoken about this in previous blogs and I’m not going to bore you all again with fluoride conspiracy theories, but its well documented that fluoride calcifies the pineal gland and as a result impedes the production of DMT. Before I go further, please watch this clip. It’s well known of course, that the indigenous people of Amazonian Peru use a brew called ayahuasca as a traditional spiritual medicine and by combining the caapi vine with the leaves of Chacruna or Chagropanga, (DMT-containing plant species), powerful hallucinogenic DMT is produced. Please now watch this clip which gives a graphic description of the ‘DMT experience by Joe Rogan. Now, there may be many who consider this ‘messing with our brains’, but the fact remains, we have this highly illegal, hallucinogenic substance within us already! And if our pineal gland is decalcified and functioning normally we will have windows and doorways to see through into other dimensions through higher consciousness. It needs to be understood that this is just how our minds work and we can tap into these other realms both with or without drugs. I will admit here that I have personally had many hallucinogenic experiences in deep meditation of the type described in the above clip and I put it down to the fact that I’ve gone to extreme lengths to minimise my fluoride intake and decalcify my pineal gland. Please watch this clip now and if you follow this advice, it will assist in freeing up your pineal gland. The ‘elixir’ spoken of is naturally produced DMT. I am sharing this information with you because I believe we all have a mandate to be intuitive, insightful, clairvoyant and ‘multi-dimensional in powerful and profound ways, just as the ancients were and it is our right to fly free! Truth, Love and Light to all. Every one of us has the ability to connect with higher consciousness. Although techniques are many and varied, alignment can be achieved in the most simple and direct way. Let’s start with the simplest meditation of all and let’s not even call it a meditation. Let’s just call it ‘getting in touch with Self. Find a quiet spot away from all distractions and simply sit with eyes closed. As you rest and relax, listen intently for any tones that are present. There is no right or wrong way to do this and whatever you experience is uniquely your own. The tone that you may hear is the tone of your existence, the rhythm of Life. You are simply getting in touch with your true self and being centred in ‘the eternal lightness of being’. As you listen more intently for the tone, you may experience it getting louder and you may also feel a vibration connected to it. As you connect with this energy, imagine it emanating from your body and travelling in all directions, to the far reaches of the Universe, as it resonates with love and healing. I do hope that is helpful. Peace and Love to all. Greetings fellow earthlings! For a very long time now I have been concerned about the calcifying effects on our pineal gland of (particularly) fluoride in our water supply. Fluoride toothpaste on the other hand can be easily avoided and there are many suitable substitutes which can be found in our health food stores. But water is much harder to avoid! We drink it, wash in it and each time we do, we ingest fluoride, either directly by drinking, or through the pores of our skin when we bathe or shower! And fluoride is magnetically attracted to our pineal gland and calcifies it! Now, much has been written from a scientific viewpoint with regard to the physical purpose of the pineal gland, such as its responsibility for the synthesis and secretion of the hormones serotonin and melatonin. Melatonin maintains the body’s circadian rhythm (sleep-wake cycle), regulates the onset of puberty in females, and helps protect the body from cell damage caused by free radicals, and the pineal gland must be fluid for these good things to happen. This is of the utmost importance for the greater enlightenment of Mankind! The human race is not meant to be dim-witted, though there are many evil forces out there working to keep us in the dark this way! Enough! It’s time to awaken! Please google widely to familiarise yourselves with the enormous body of research that has been compiled on this topic and you will come to realise I’m not just peeing in the wind here! Below is the very best article I’ve found on The Pineal Gland and how to decalcify it. It also contains many links to research papers for the scientists among us. Please put all cynicism to one side and just read with an open mind and let me know what you think. I’m posting this because I passionately want the world to be a kinder, more peaceful place for all of us. Truth, Love and Light. 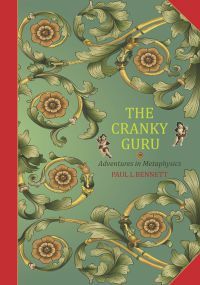 The Cranky Guru. So anyhow, yesterday we focused on helping to heal others. Today, let’s spend a few moments healing ourselves. There are many wonderful drugs on the market that assist physical and mental illness, but there is one area of healing which is often overlooked and it’s this. We are Multi-Dimensional Beings, existing simultaneously in both the internal and external worlds and the external is really the ‘tiniest tip of the iceberg.’ So let’s call on the much larger ‘totally well’ aspect of ourselves for healing support. We’ll simply sit quietly and visualise ourselves completely free of whatever ailment is afflicting us. We’ll ‘see’ ourselves WELL, doing all the things we desire and we’ll say, “I AM WELL!” with all the passion and joy we can muster. Then just relax and breathe deeply for a few moments, before going on with our day. See the wonderful tree I photographed yesterday? It looks old and wizened, but bursting forth from its summit is abundant new growth! Courage! There is always hope. Love and Light to all.